Copies.pro - Professional Hosting and eMail Services is an excellent home for all Drupal-powered websites. We offer an automatic Drupal installation right at signup, high-end servers and a 24-7 client support service. 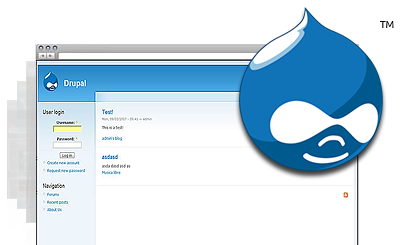 You can get a Drupal web hosting account together with a domain for only $2.75 per month. All shared hosting packages feature a 30-day MBG. Drupal™ is a registered trademark of Dries Buytaert and is not connected with Copies.pro - Professional Hosting and eMail Services. Drupal web hosting made simple with Copies.pro - Professional Hosting and eMail Services! Copies.pro - Professional Hosting and eMail Services fulfills all prerequisites for hosting Drupal-based web sites. Copies.pro - Professional Hosting and eMail Services offers an exceptional tech support service. With this shared hosting plan, you can easily start a quality business website. The perfect choice for an advanced Joomla-based website. Copyright © Copies.pro - Professional Hosting and eMail Services 2004 - 2019. All Rights Reserved!